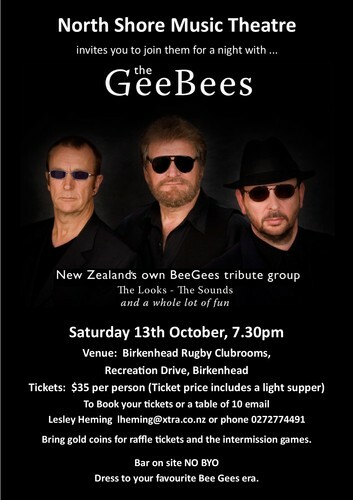 Join North Shore Music Theatre and NZ’s own Bee Gees tribute band the Gee Bees for a night of fun! Tickets include a light meal and all of the Bee Gees classics you know and love! Dance the night away with friends and family and support NSMT in the process. Email - lheming@xtra.co.nz to book! Book for a table of 10.